The best way to get to know a community is by scheduling a tour. 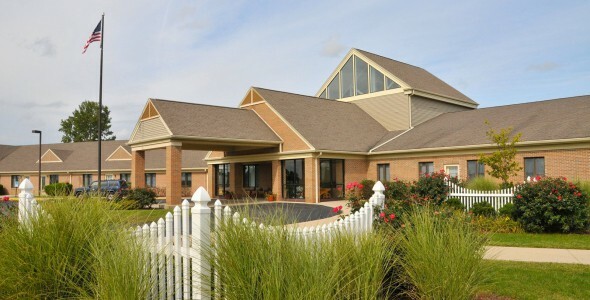 See the facilities, meet the staff and residents, and get a feel first hand what it's like to live at Otterbein Portage Valley Senior Lifestyle Community Assisted Living. Small-town living with the attractions of a city is found at the Otterbein Portage Valley Senior Lifestyle Community. Whether you enjoy taking daily walks, spending the afternoon fishing or working on art projects, our community has all the amenities and activities you need to create the retirement you have always desired and searched for. Otterbein Senior Lifestyle Choices has a century-long tradition of providing compassionate care to seniors in Ohio, and Otterbein Portage Valley Senior Lifestyle Community is proud to continue this tradition. Through our innovative services, our residents are freed to become the person whom God wants them to be. When joining our community, you can choose neighborhood-style living in a sunny villa or join our apartment community. Either way, you will live amongst friends and enjoy independence without the hassle of home ownership. Our villas are available in studio, one- and two bedrooms, while the apartments have studio, one- and two-bedroom floor plans. Standard features include full kitchens, cable television and a 24-hour security call system. The Bowlus Life Enrichment Center is the heart of campus life, and here you can join friends for lectures in the auditorium or host a family gathering. Exercise classes are also held throughout the day, so you can achieve your fitness goals. And during summer, our Music in the Air concert series is a draw for residents and staff alike. while on-site banking and postal services means you won't have to wait in line again. And café-style dining, featuring chef-prepared meals, offers you a respite on days you don't feel like cooking. With our focus on continuing care for body, mind and spirit, you can expect to receive a full continuum of care whatever your health care needs are. And because we offer total care - from assisted living services to specialized memory care for Alzheimer's and dementia - you have the peace of mind that comes from aging in place. When looking to start the next phase of your life, let Otterbein Portage Valley become your new home.